Cebu Food Blogger: With years of K-pop hype and Korean tourists coming in to our Philippine archipelago, it is vehement to see Korean establishments sprouting like mushrooms in our Visayan metropolis. 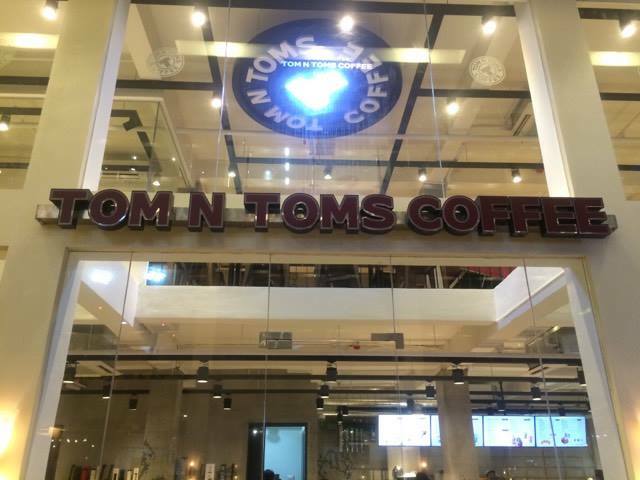 One latest addition is the opening of an original Korean franchise coffee house, Tom N Toms Coffee at the Greenery. This establishment is open 24 hrs daily. 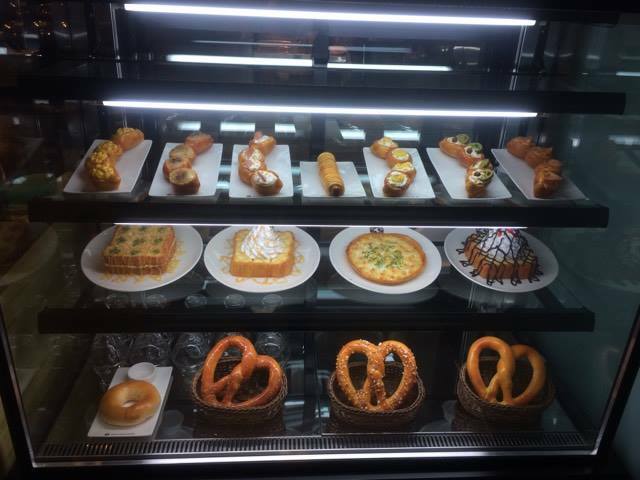 Coffeeholics and pretzel-lovers will surely get enthusiastic with this news. 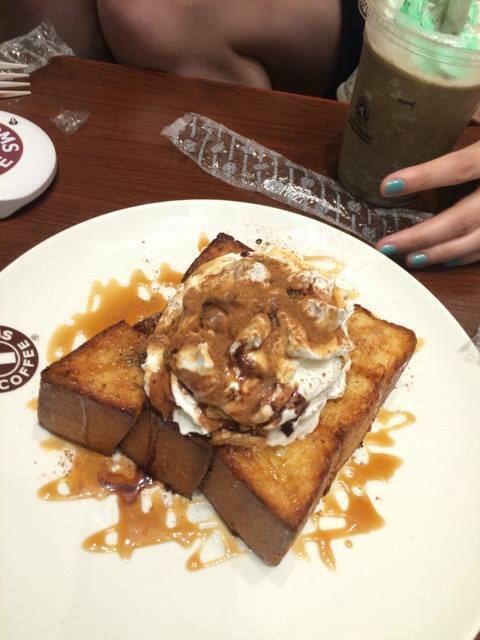 Of course, the coffee chain has more to offer from teas, smoothies to pastries. Last night, I got the chance to check this new Korean coffee nook, the first branch here in Cebu. And boy, it didn't disappoint. They have that "K" with their drinks and pastries. With over 100 plus choices of edibles, I'm confident to say that you'll have a good time in this house. I'm not so much of a coffee person (what-a-shame) so my eyes pointed at their smoothies. I had their Blueberry Premium Fruit Yogurt Smoothie and I paired it with a plate of their delectable Honey Cheese Bread that is so good. Our group ordered some of their original and special pretzels. I liked the pepperoni one (one of the Italiano Pretzel selections). Premium Fruit Yogurt Smoothie-Blueberry. Price range: Php 170 to 195. I instantly love it. I can taste why it's called "premium". Available flavors are Blackberry and Green Apple. Will try these two when I get to visit it back. 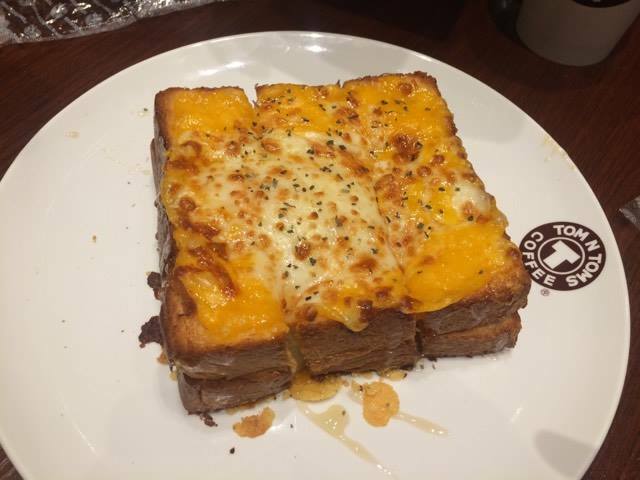 A freshly, nearly-toasted bread with infused melted cheese, cream on top and drizzled with honey-caramel sauce. 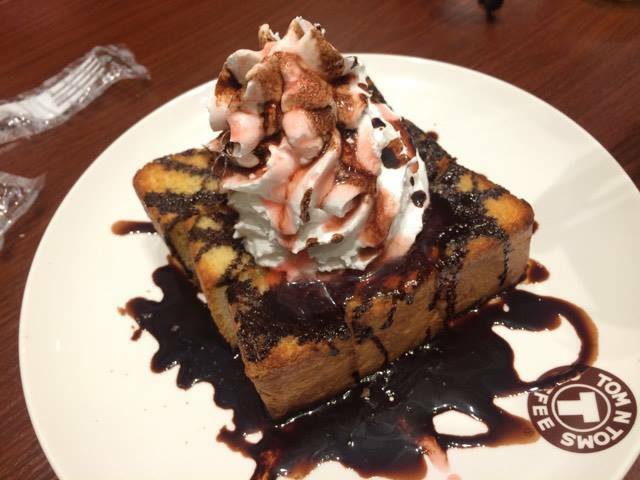 If you're a chocoholic like moi, this butter bread with a drizzle of chocolate syrup will surely flirt your taste buds. Should I need to expand on this? This came late on the table but I would not think twice to have it again and take a bite. What's unique with Tom N Toms Coffee is that their pretzels are freshly baked the moment you order them. You can actually watch while they prepare your preferred choice from plain, original, special (garlic, parmesan, cinnamon, cream cheese, almond), Italiano (pepperoni, corn, deli, apple cinnamon, or sweet potato), Dog and shrimp pretzels. Everything is fresh! Since this is a new establishment in Cebu, let's do some ocular inspection inside. The mezzanine area is perfect for all types of meeting, you can have a closed-door meeting, a long-table meeting, a town hall, or a huddle room with your partners, or friends, or classmates or anyone. Now, let's check the mezzanine area. Want privacy? You can have a closed-door meeting in this glass room. 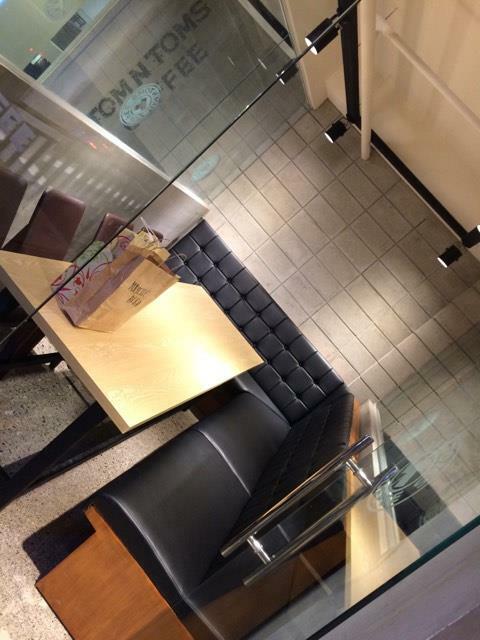 A few available seats and tables for a number of groups. Got a no. of friends coming in? Opt to have this reserved for you?! 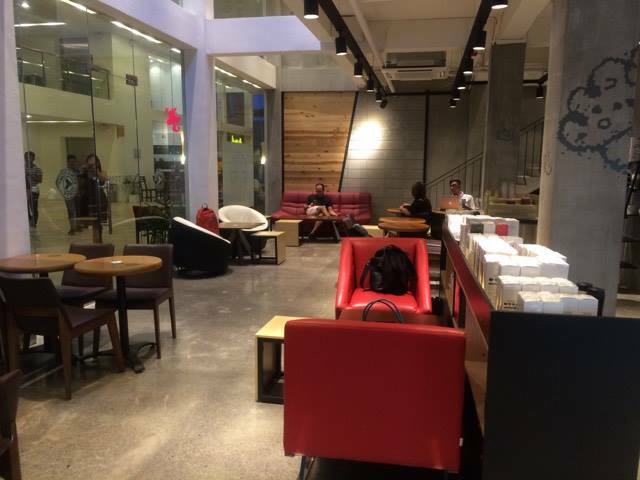 Let me share with you a few things I know about this Korean Coffee Shop. The very first branch opened in 2001 in Seoul, South Korea in Apgujeong-dong District. They now have more than 600 branches in 9 different countries worldwide. 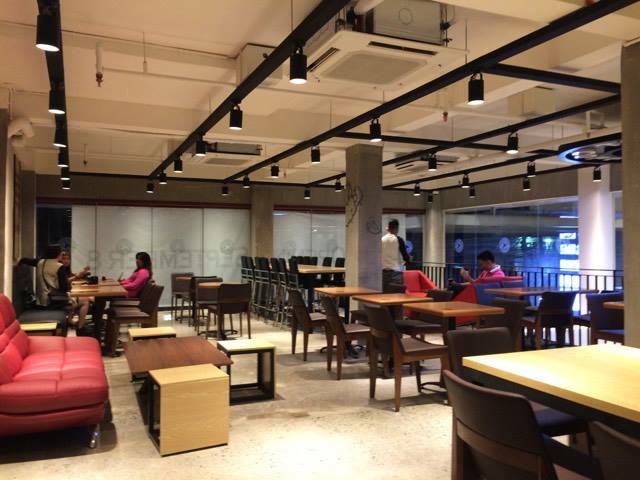 Their first branch in the Philippines is in Bacolod city that opened in year 2015. 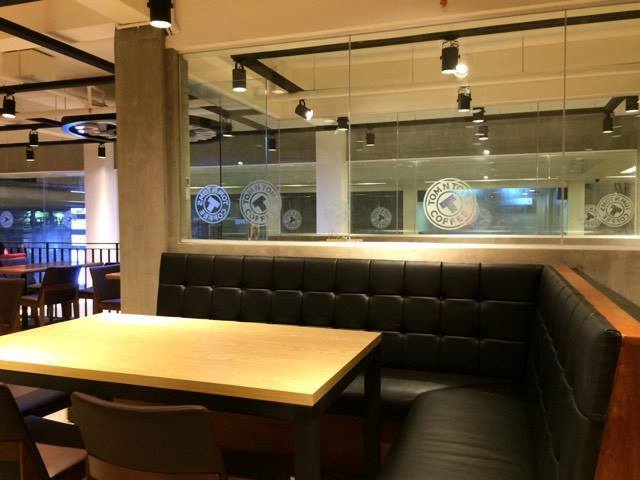 The second one and the first franchise Korean coffee in Cebu is located at the Greenery, Mabolo with a target opening date on September 8, 2016. The also have their original liquid concoction called TomNccino ice blended drinks. I'm soon to try one of its flavors. 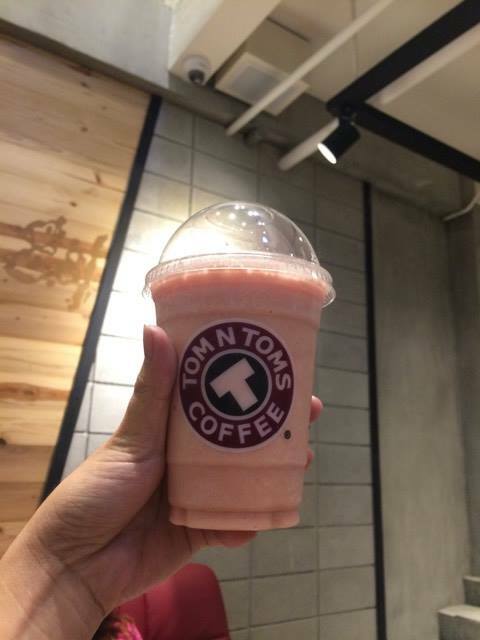 “Tom N Toms is this space where ordinary Toms meet up and hang out to refresh the body and soul in a warm and relaxed atmosphere with coffee and good food. We hope to see Cebuanos to Tom N Toms in the coming days,” said Alba. How are you? Keep in touch!